Express Newspapers staff are said to be "spitting blood" after parent company Northern and Shell reported pre-tax profits of £333.7m in 2014. 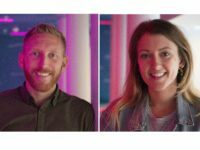 The near ten-fold increase, up from £34.9m in 2013, came in the year Northern and Shell sold Channel 5 to Viacom for £463m.  Also in 2014, Northern and Shell announced plans to cut around 200 editorial positions at Express Newspapers, which publishes the Express and Star national newspaper titles. According to the results, Richard Desmond-owned Northern and Shell recorded an operating loss of £25.7m in 2014, down from an operating profit of £37,1m in 2013 "after recording non-recurring overhead costs" of £30m. The results also showed that N&S's highest paid director earned £4.6m in 2014. This figure for 2013 was £605,000. Meanwhile, the Express Newspapers 2014 results showed that it made a profit before tax of £812,000 – down from £30.4m. The results noted that the company's redundancy programme had cost £6.3m. 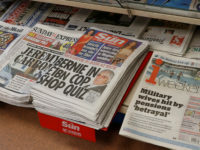 The Express Newspapers results statement said: "As in recent years, the trading environment for newspapers remained challenging in 2014 with continued pressures on circulations and print advertising revenues. 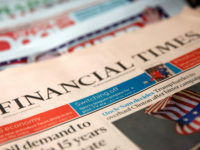 "Despite these conditions, a strong focus on cost control, with savings achieved on newsprint and printing costs, resulted in gross profit of £100.2 million, down 4.1 per cent on the previous year with the gross margin remaining stable at around 51 per cent. "The profit before tax of £812,000 was adversely impacted by certain non-recurring overhead costs in the year. "After conducting a review of the business, a restructuing exercise primarily focused on the editorial department commenced in July 2014, which resulted in a sizeable redundancy programme at a total cost in the year of £6.3 million." Total revenues at Express Newspapers fell from £204.8m to £196.9m. Northern and Shell group's overall turnover for 2014 was £487m, down from £621m in 2013. Northern and Shell's total staff count was 1,077 in 2014, down from 1,190. Included in this figure were 639 production staff, down from 664. Staff at Express Newspapers are asking Desmond to justify why he has not given them a pay rise in eight years. A spokesman for the Express Newspapers National Union of Journalists chapel said: "This is the culmination of 15 years of pillage of our company by Britain's greediest billionaire. "The workforce at our three sites in London, Glasgow, and Broughton are outraged by the sheer greed of Richard Desmond and his cronies. Even very senior executives on our four titles have been spitting blood after seeing these figures. Neither they nor the rest of the staff have had even a cost of living rise since April 2008. As a consequence, most of us are around 20 per cent worse off. Experienced journalists with years of service on national newspapers are having to remortgage or downsize just to pay the bills. "Morale, as a consequence, has plumbed new depths after the release of these accounts. 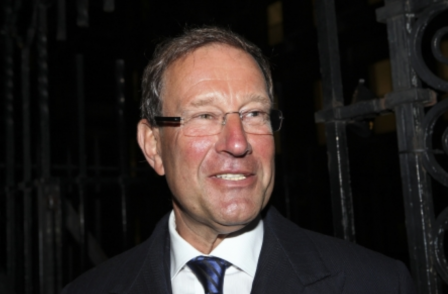 We have been pinning our hopes on Trinity Mirror coming in to buy our titles but the signs are that's not going to happen now and we are stuck with Richard Desmond, the unacceptable face of British business in the 21st century." Northern and Shell directors were paid a combined £18.3m. Desmond was paid £795,000 for his role as chairman. The NUJ chapel said: "The figures appear to show that Desmond and his fellow directors took £100m out of the company in one year. That is on top of the £500m we believe Desmond has taken out of the four national newspaper titles since he bought the company." According to the NUJ, apparent bonuses paid to senior staff contradict assurances made executives that no one "upstairs" had received bonuses from the sale of Channel 5: "Yet the accounts show that payouts to directors soared from £1.9m in 2013 to £18.3m last year and the highest-paid director went from £589,000 to £4.6m. 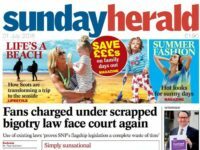 "In a series of interviews, Desmond has cited normal business costs and declining revenues from print as his reason for refusing to give the rest of the staff pay rises. In fact, we understand that by the end of 2014 the two Express and two Star titles were on course to make between £12m and £15m profit. Desmond has also claimed on several occasions that the average salary at Express Newspapers is £70,000. On some occasions he has qualified it and said £50,000, £60,000, £70,000. "In fact, the company told us when redundancy negotiations began last year that the average salary was £45,000. Since then it has refused to give us new figures, in breach of normal undertakings, but we estimate the average salary here is close to the London average for all industries of £41,000.